Mostly, we do day hikes. We meet at Yonge and York Mills to car pool. We drive up to the destination and hike. A bunch of us usually stay up in the area for dinner at a local restaurant. We are looking for some new hike leaders. This is especially urgent because with all the new MeetUp people coming out, our groups are getting larger, and we may have to schedule hikes for both days of the weekend. 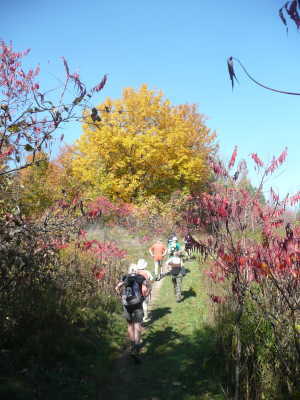 The Bruce Trail would like to see hiking groups kept below thirty people. 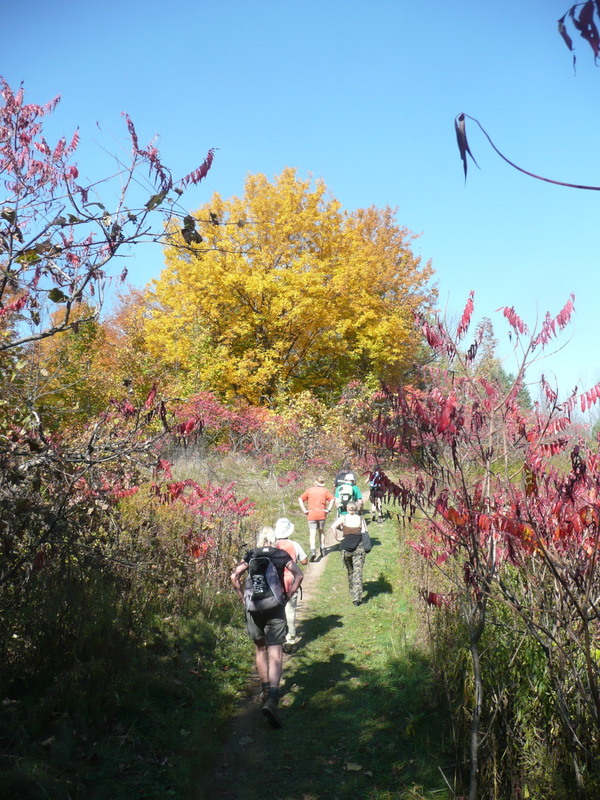 Heck, a hiking club that does both days of the weekend is a better hiking club. Please contact me and we will see if we can work something out. In case you are curious about where we were last season, here is our Fall 2015 Schedule. Please do not bring children and/or pets. Children are not always capable of handling the ten to fifteen kilometers we normally do. Dogs don't always behave well with crowds of strangers. All club activities are done at the members's risk. Members voluntarily assume all risks and dangers incidental to all programs, functions or activities. High Park Hiking Club, its administration, volunteers, etc. assume no responsibility for claims, losses, damages, injury, costs or expenses due to club activities.